The average career span in the NBA, MLB and NFL is 4.8, 5.6 and 3.5 years, respectively. The “shelf life” of athletes is tiny. Professionals in this industry have a small window to make their millions, and if they don’t they cannot survive on their savings for very long (even if they saved responsibly). Ed Butowsky of Chapwood Capital Investment Management believes athletes don’t understand finances. He says the leagues try to help educate them, but the system doesn’t work well enough. Athletes see prominent people spending money, and they believe that their spending pattern should be the same. However, athletes fail to take into account that those prominent members have spent a lifetime learning about financial responsibility and budget strategies. [It is very disconcerting] if the NFL and NBA data is correct. 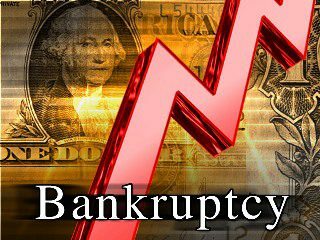 That’s a high rate of bankruptcy, and the leagues should provide better guidance for its athletes…. [Unfortunately,] professional athletes are easy targets. They are highly visible, have lots of money and limited experience. i am totally agree, they have spend too much which will be the reason for their bankruptcy. Great site. Plenty of helpful info here. I’m sending it to a few buddies ans also sharing in delicious. You left out one more big factor: divorce. No pre-nup, they are married during the time the are earning easily 80% or more of what they will earn in their entire lifetime, and they lose half of it – or more, once you factor in legal fees. on web I found this web site as a most excellent web site for most up-to-date updates. Well these boys went to college, need I say anything more. Who is failing who? I would recommend getting more recent data than a 2009 Sports Illustrated article, and support it with citations. Great blog! Do you have any recommendations for aspiring writers? I’m planning to start my own site soon but I’m a little lost on everything. Would you advise starting with a free platform like WordPress or go for a paid option? There are so many choices out there that I’m completely overwhelmed .. Any suggestions? Thanks a lot!